One of the benefits of being a writer is hanging out with other writers. This means all sorts of cool things, including the opportunity to indulge in Advance Reader/Reviewer Copies (ARC’s) of books that are not released yet. One such book I had the honor of reading is J. Anderson’s upcoming novel Legacy’s Impact, which will release in two days. 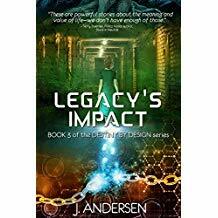 Legacy’s Impact is the third book in J. Andersen’s Destiny by Design series. This dystopian series is set in an alternate/future America divided into sectors. Katherine (Kate) Dennard, the series protagonist, lives in Sector 4, where the government maintains control through advances in science that have prolonged the human lifespan and eliminated all illness. 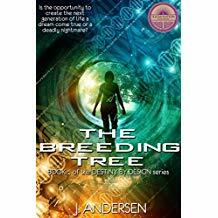 In book one, titled The Breeding Tree, Kate is selected to become a Creation Specialist, a dream job for her. However, her culture demands human perfection, so her job to create life includes disposing of any creation who is less than perfect. Kate’s next discovery upsets everything she thought she knew about her way of living, forcing her to choose between an option that’s really, really bad, and another option that’s worse. 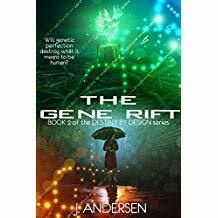 The Gene Rift, book two in the series, shows Kate living with the results of her choices and forging unthinkable bargains with her enemy in order to make things right in her personal world. Legacy’s Impact follows the consequences of Kate’s bargains, showing how one person can impact a whole society. This action-filled finale to the series is packed with suspense. Believable yet unpredictable plot twists hold readers entranced, capturing them in their desire to discover what will happen next. This series will appeal most to readers who enjoyed the Divergent series and the Matched series. Although Legacy’s Impact doesn’t release for two more days, it’s available for pre-order, so you can reserve your copy on Amazon right now. Sounds like an awesome series. Have add that to my TBR pile. Thanks for sharing!